The next big thing in food isn't even new. The store is Rauch’s reaction to the insane amounts of available food that Americans fail to consume each year: 133 billion pounds. Here’s the thing: This isn’t a radical new idea. Stores that sell past-date items are not a new phenomenon. It is thought these salvage groceries, as they are known, began in the ever-thrifty Amish community — or at least, that’s who popularized them. To that end, southern Pennsylvania and Ohio have multiple Amish-run stores and even some chains. In fact, there are at least 500 salvage groceries nationwide, likely many more. Conventional grocery stores have strict rules as to what they will accept — and a single damaged good on the pallet can mean rejection. Next step? Salvage grocery. The stores exist in every state (at last count) and many have been around for decades — this is not a post-2008 recession invention. United Grocery Outlet, which has 36 stores in Tennessee, Georgia, Alabama, and North Carolina, opened as the Bargain Barn in 1974 and has been growing ever since. Amelia’s Grocery Outlet has 16 locations and a warehouse in southeastern Pennsylvania alone. Fresh to Frozen in Richmond, Virginia, which has been around for 30 years, posts low price updates on its Facebook page: 5 pounds of tomatoes for $1, 2 pints of strawberries for $1, Pillsbury Grands biscuits for 58 cents, 10 pounds of potatoes for $2.99, and Earthbound Organic spring lettuce mix boxes for $1.68. Hopey and Company in Black Mountain, North Carolina sell bananas at 49-cents per pound, grass-fed ground ribeye at $4.99 per pound, and Simply Orange juices for $1.99 each. Salvage groceries buy directly from manufacturers and are less concerned with perfection than their conventional counterparts. A sale at a conventional grocery store can sometimes generate lower prices than a salvage grocery. But that price is likely short-lived, while the prices at a salvage grocery store are consistently reduced. 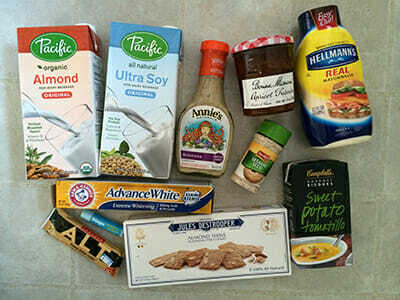 Salvage groceries buy directly from manufacturers and are less concerned with perfection than their conventional counterparts. A salvage grocery store sells a combination of the following, at a below-market price: past-date or nearly-past-date foods, commercial-sized items, holiday and seasonal foods, failed products (sometimes merely character-themed), items that never made it to market, less-than-perfect fruits and vegetables (that supermarkets no longer want to display), items that did not sell well in a particular city or region, items with misspelled or misshapen labels, overrun products, and products in dented boxes. The stores often have contracts with the manufacturers regarding certain brands and will provide services like distributing damaged products, repacking bulk products, and in-house labeling and relabeling of items. Broadly, if an item is sold in a conventional grocery store, it can also be found in a salvage grocery. In fact, many of the stores sell a combination of salvage and traditional grocery items. 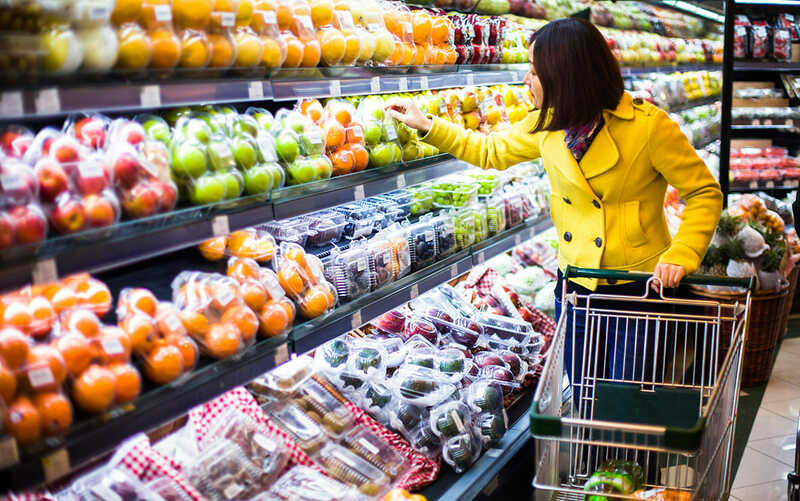 Overall, it depends on the store, but the options can include specialty foods: rice milk, organic potato chips, small-batch chocolate bars, frozen fruit, craft beer, grass-fed steak, gluten-free cereal, locally-grown vegetables, and even bulk items. There are even aisles full of of cosmetics, pet foods, household cleaners, and other random items. This is what $12 can get you at a salvage grocery store. / Courtesy Ashley Chaifetz. 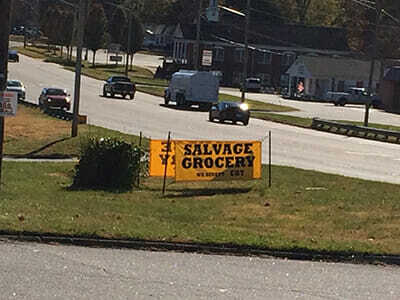 A sign for a salvage grocery store. / Courtesy Ashley Chaifetz. So, if salvage grocery stores sell the same items as major chains, what makes them different? Mainly, that they eschew strict adherence to the “sell by” date on foods. And, no, that doesn’t mean the food is less safe. Except for infant formula (which cannot be sold after the date on the package), the dates on food are unregulated. Any date (best-by, use-by, sell-by) is put on the package by the producer or distributor and it is arbitrary, meaning that two cracker companies might have different ideas as to how long their crackers are at their best. The quality decreases with each passing day, but it’s not a question of safety. Salvage grocery store owners are required to take the same precautions regarding storage, refrigeration and food handling as any conventional grocery store. While many salvage grocery stores accept them, the bulk of the revenue is not necessarily from food stamps (SNAP). Many are not allowed to accept coupons, as per the manufacturers. It’s not a question of safety — salvage grocery store owners are required to take the same precautions regarding storage, refrigeration and food handling as any conventional grocery store. So why aren’t we shopping at these stores en masse and wasting less than we do now? To begin, they are seemingly unknown to most people. There’s a single list of salvage groceries floating around the Internet and it is not entirely accurate. They don’t have nationwide advertising campaigns like for the larger chain grocery stores. While media outlets like The Today Show have done short segments on salvage groceries, it’s atypical for national news. Combine that with a cultural aversion to eating food past its sell-by date and it’s easy to see why salvage stores are an open secret. And, Eastridge says, such stores can be hard to sustain, unless you’re able to provide an obvious financial incentive over the regular stores. But, for many, it may be worth finding their local salvage store: for their wallets and for waste prevention. Doug Rauch’s efforts might actually be the push needed to sway the undecided shopper into this new, old-fashioned market. Note: An initial version of this article called Roxbury a suburb of Boston.